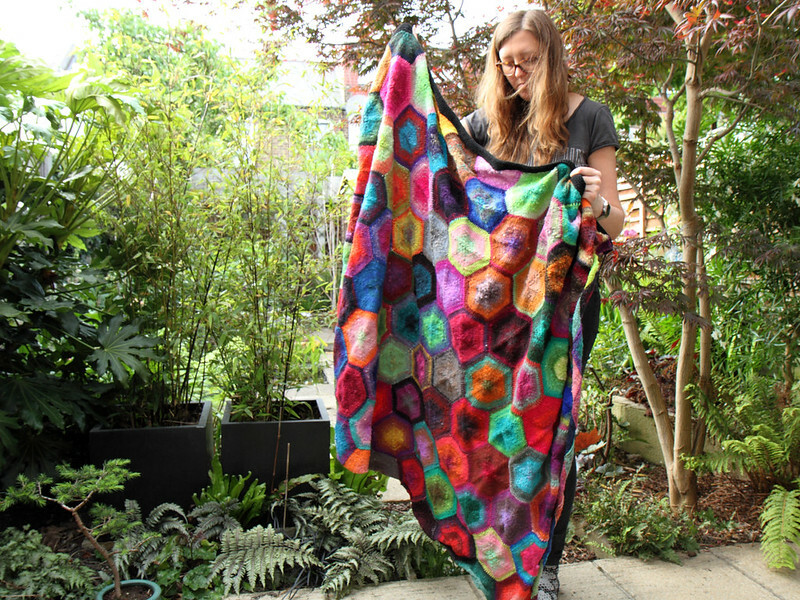 Over three years in the making, my giant version of the Cerys Hexagon Blanket is almost finished, with the hexagons done and the edging going on (one side at a time, I don’t think circs exist that could do the edging in one go). As my largest ever knitting project nears completion, the yarn that formed the incredible long blended colour gradients is making an inevitable disappearance from the shelves. 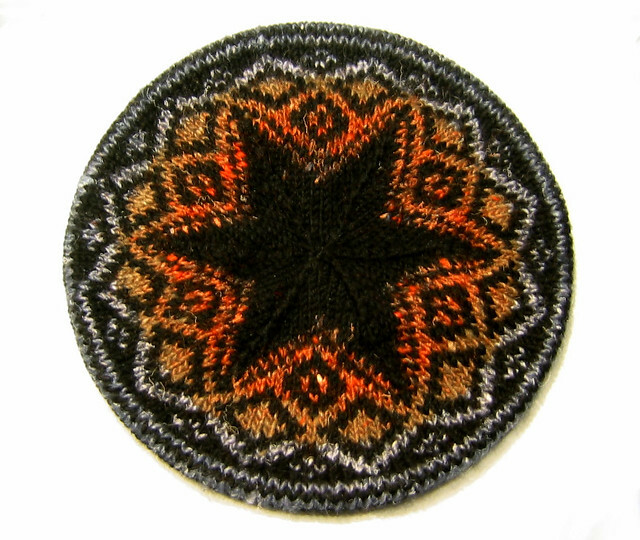 Yep, the inimitable Noro Kureyon has sadly been discontinued. 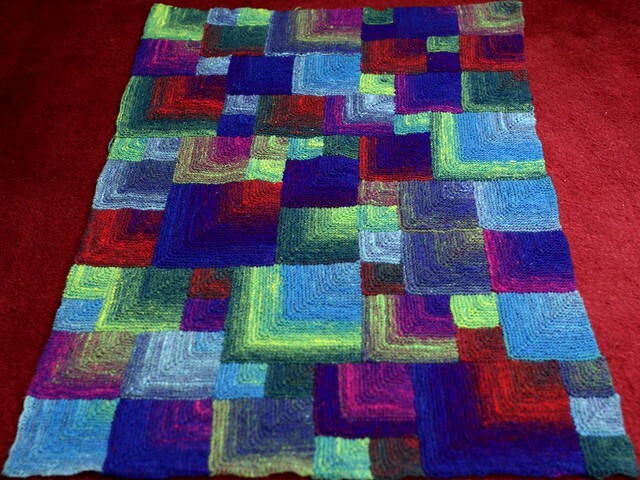 My blanket was formed of 20 balls of Kureyon in maybe 10 or 15 different colourways, but I have used an awful lot more over the years. 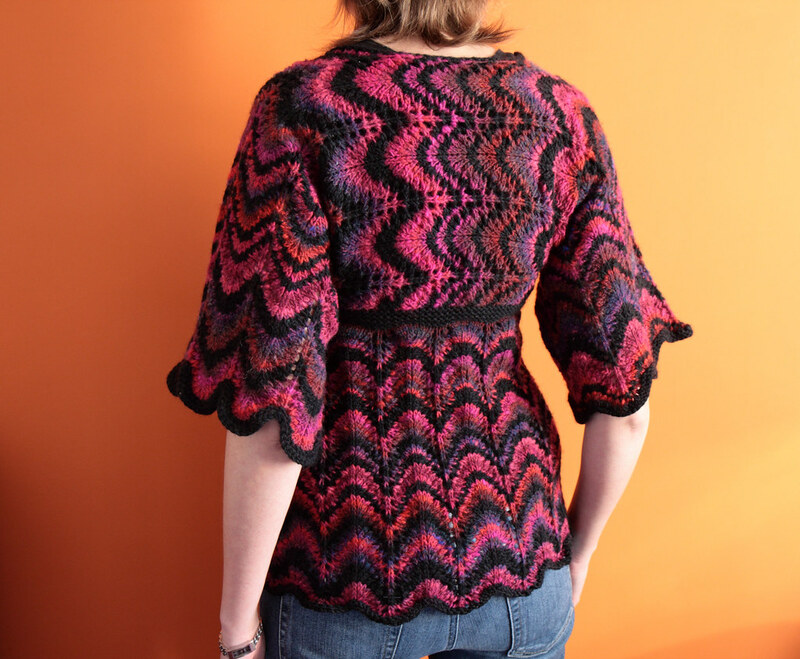 Kureyon played a big part in encouraging my knitting addiction in the early days; its inimitable blended colour changes always spurring me on to do a few more rows to see how the colours would unfold. And since then, it has continued to be a major influence on my knitting style in general, and helped me to fully indulge my love of bold colour effects. 2008: A heavily modified version of ‘Annmarie’ by Berroco Design Team with Noro Kureyon and black aran wool combined in a repeating pattern of varying-width stripes. 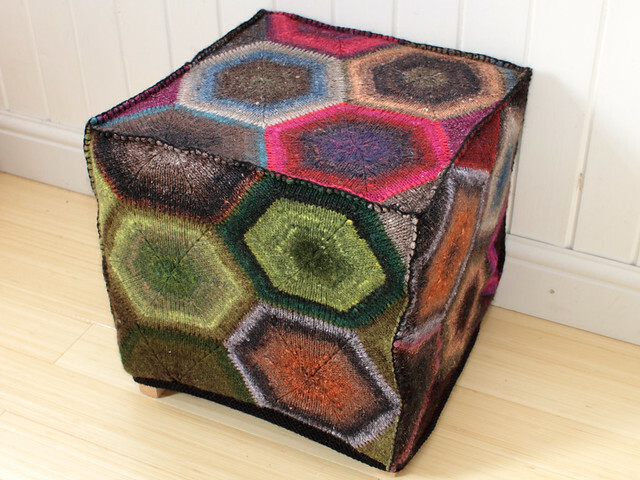 …and indeed it was the inspiration for the Cerys Hexagon Blanket when the construction method for the footstool above eventually evolved into the final blanket pattern. When I first began knitting in early 2007, Kureyon couldn’t have stood out more against the polite rows of pastel baby yarns and uniform, machine spun DKs in navys, creams and other ‘tasteful’ (i.e. safe) colours. 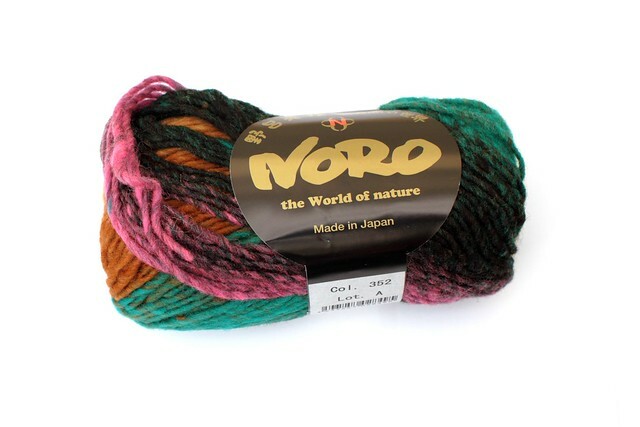 The clashing colour explosion of these mystical, far-eastern balls of thick and thin yarn (complete with occasional bits of twig) smashed the stereotypes and convinced me that knitting could be for me. Things have come a long way in nine years, with knitters able to find every possible colour, texture and style of yarn available on the high street and the internet, from global brands and independent dyers alike. Never the less, Kureyon will be missed!